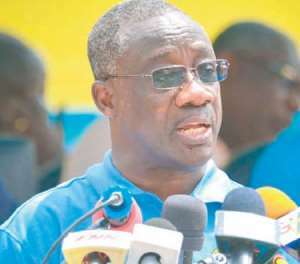 The Commissioner General of the Ghana Revenue Authority (GRA), Emmanuel Kofi Nti, has indicated that close to 2million people have signed up for Taxpayer Identification Number (TIN). According to him, as at December 2018, the number of persons with a TIN was a little below two million. He stated that the strategy to introduce the TIN had improved tax collection across the country. He was speaking in an interview with the media recently. According to him, “in that, there has been improvement in the collection from the self-employed area within the small tax-payer offices across the country”. TIN is a unique 11-digit number required under the Revenue Administration Act (RAA) 2016 (Act 915) and enables taxpayers to transact business with ease. It is part of efforts to improve tax compliance and broaden the tax net. In accordance with the RAA, the GRA is mandated to set up a taxpayer identification numbering system for the purpose of identifying taxpayers and promoting tax compliance. The implementation of the RAA took effect on Monday, April 1, 2018. The list of institutions under the RAA to apply the TIN includes: the Registrar-General's Department, the Lands Commission, the Ghana Immigration Service, the Passport Office, the DVLA, the courts, the Controller and Accountant- General's Department and the GRA. The rest are ministries, departments and agencies (MDAs), metropolitan, municipal and district assemblies (MMDAs), banks, insurance companies and other financial institutions, manufacturing companies and other public institutions that provide essential and social services.